​Eight family members were arrested Tuesday on federal charges that they used a hot dog stand and other businesses as fronts to hide their marijuana-smuggling ring, which allegedly shipped thousands of pounds of pot from Arizona to Ohio. Federal authorities said they believed Jonathan Ortiz Troncoza, 39, of Tucson, Arizona, headed the organization, and was assisted by various family members, reports Ryn Gargulinksi at Tucson Citizen. The organization supposedly smuggled at least 6,000 pounds of marijuana while collecting, and laundering through the front businesses, up to $5 million in marijuana sales. Federal agents seized marijuana, more than $700,000 cash, numerous vehicles including a semi-tractor trailer, guns, jewelry, and a house in the course of their investigation, according to a news release from the District of Arizona’s Office of the U.S. Attorney. Business names allegedly used by the busted Tucscon clan include Wedoito’s Hotdogs, Sea of Cortez Seafood & Produce Distribution, and AB Trucking. 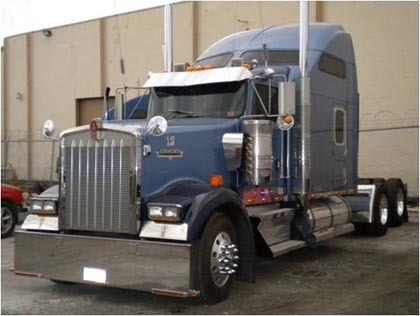 “Conspirators also purchased semi-tractor trailers which were used to transport thousands of pounds of marijuana (and multiple pounds of cocaine) from stash houses in Tucson and Phoenix areas to properties in Ohio,” the U.S. Attorney’s release claims. This semi-tractor trailer rig was among the vehicles seized from the Troncoza family in Tucson. ​Money earned from the group’s marijuana sales was allegedly hidden and moved around the country on commercial airlines, tractor-trailers and other vehicles. The cash was also reportedly used to buy airline tickets, cell phones, hotel stays and other things. “The defendants also conspired to conduct financial transactions, including depositing thousands of dollars in drug proceeds into bank accounts controlled by the drug trafficking organization,” the release claims. Federal agents got wind of the conspiracy in 2005 when Jonathan Ortiz Troncoza and a “female companion” passed through Phoenix Sky Harbor Airport with $181,790 cash in two suitcases. This inspired the U.S. Drug Enforcement Administration and IRS Criminal Investigations to initiate a five-year investigation lasting from March 2005 to June of this year. 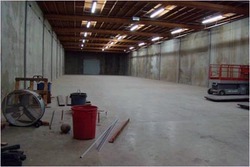 This warehouse was among the properties seized by the federal government from the Troncoza family. ​”Operation Frozen Freight” was the federal name for the investigation, which eventually did freeze the family’s assets. Besides Juan Ortiz Troncoza, others arrested included David Ortiz Troncoza, 41; Yvonne Teresa Troncoza-Martinez, 38; Kathy Ann Troncoza-Valenzuela, 41; Nina Francine Troncoza-Celaya, 32; Manuel Martin Garcia, 34; and Manuel Alejandro Alvarez, 35, all of Tucson; along with Juan Fonseca-Cantallops, 41, of Buckeye. Drusilla Ortiz Troncoza, 61, of Tucson, wasn’t arrested, but will be summoned to court. Anna Graciela Goncalvez-Mendez, 41, of Naco, was not arrested since she was reported dead. All of the defendants face up to 40 years, a $2 million fine or both if convicted on federal charges of possession with intent to distribute marijuana. Additionally, they could get 20 years and a $500,000 fine on money laundering charges, and 10 years to life along with a $4 million fine on charges of conspiracy to possess marijuana with intent to distribute.